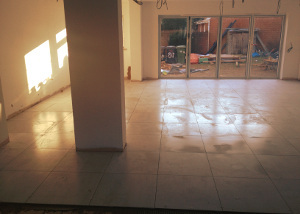 Get in touch with our 24/7 020 3404 0500 or use our online contact form here to get a non-binding and free of charge quote for our after builders cleaning service today! We have been serving our private and business oriented customers in Lambeth SE ever since 2005. Excellent Carpet Cleaning has great deal of experience in cleaning after builders. We have designed and applied strict quality and essential safety measures, and also a comprehensive checklist for the after builders cleaning service we offer. Our cleaners are all hand-picked, qualified and constantly examined if they meet up with our high quality and safety criteria. They are prepared with powerful professional cleaning apparatus, resources as well as safe and eco-friendly cleaning solutions. They will promptly and properly eliminate all dust and filth left over from builders' job and renovators in your property. In just a few hours, your residential or company premise will be safe to inhabit and work in once more, using the help of our service. Have your house or business property flawlessly cleaned and safer right after a remodeling, reserve our professional after builders cleaning service now! Our booking process is simple and totally free. Call 020 3404 0500 or complete our online booking form to receive our top-class after builders cleaning service right now. Our customer care is accessible 24-7, so you will be getting a booking confirmation soon. Our company offers emergency cleaning services, so you can book us today. We are ready to serve you 7 days a week. If you reserve a mix of 2 or more of our maintenance and cleaning services, we are going to give you a sizeable price reduction. Our firm offers special prices to all community property managers, real estate firms, loyal customers and early morning bookings reservations.